(NORTH BAY, ONT.) 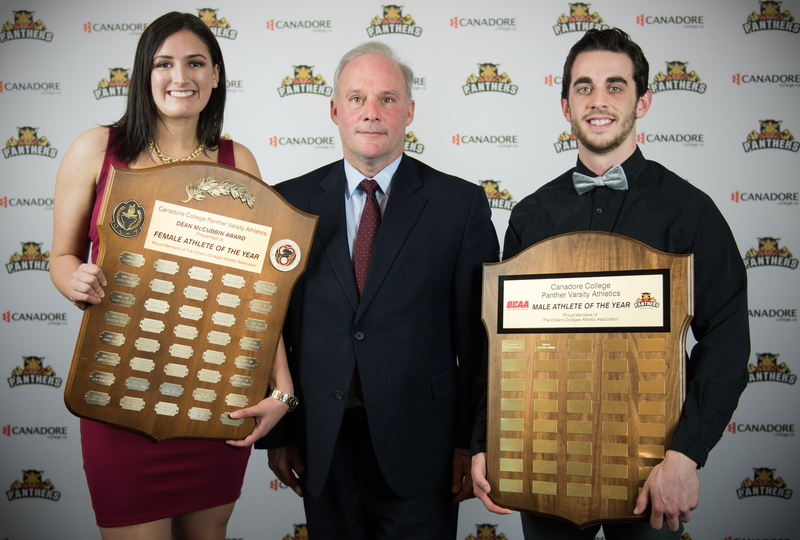 – Canadore College hosted its 48th Annual Athletics Awards Banquet tonight in celebration of excellent sportsmanship. Elite student athletes, coaches, college employees and Canadore Alumni attended the event highlighting the 2016-2017 season. “Our athletes are recognized across Ontario and throughout Canada,” said Turcotte. “This is a testament to their efforts and the unwavering support of our coaches, trainers and the community at large, for which we thank you,” said Turcotte. GET YOUR CLAWS OUT to support your Panthers. For further updates please visit our website at www.canadorecollege.ca/athletics.